Products. In an ever changing technological landscape, Salvonix serves up the latest in web and mobile applications. We focus on business efficiency and innovative solutions at the intersection of fitness and technology. We build scalable web applications using services designed to suit a variety of purposes. We create our own projects from the initial idea through deployment. 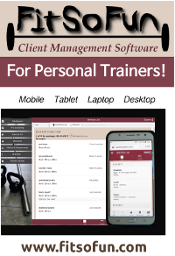 Our latest product is FitSoFun, an interactive app for trainers and their clients handling tasks from initial screening through ongoing workouts. Services. We combine proven experience with fresh perspective to help your business solve its technological needs. From web apps to mobile apps to configuring servers, we have your business technology needs covered from initial idea through deployment.